The Wolf Conservation Center, a 501(c)(3) not-for-profit environmental education organization located in South Salem, NY, has been working for two decades to protect and preserve wolves in North America through science-based education, advocacy, and participation in federal recovery and release programs for two critically endangered wolf species - the Mexican gray wolf and red wolf. While the WCC has been a vocal and visible advocate in trying to protect and preserve critically endangered wolves, the center is also active in physically safeguarding the twenty-four Mexican gray wolves and twenty red wolves that have been entrusted to our care. The WCC's three 'ambassador wolves' reside on exhibit where they help teach the public about wolves and their vital role in the environment. 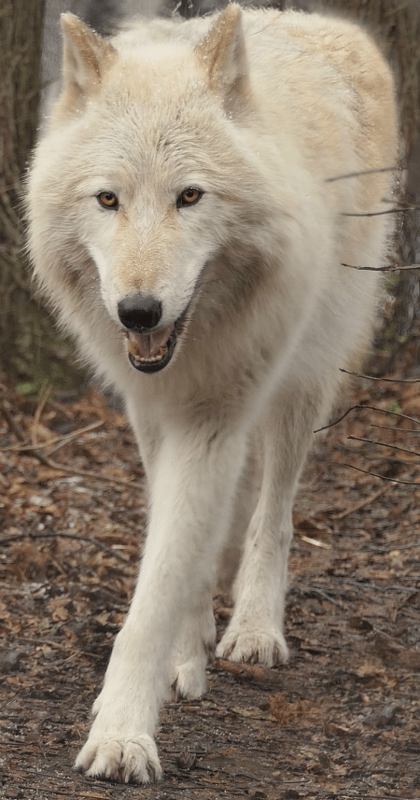 Through wolves, the WCC teaches the broader message of conservation, ecological balance, and personal responsibility for improved human stewardship of our World.